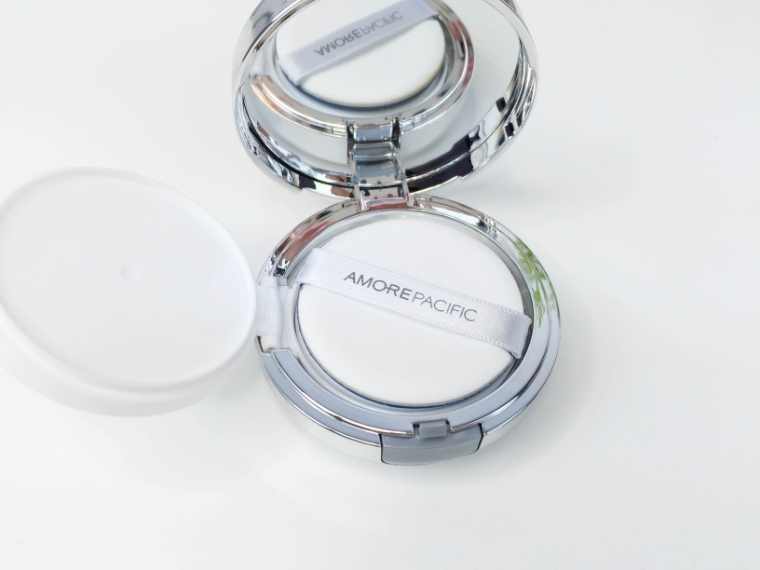 What’s the Hype About Cushion Compacts? 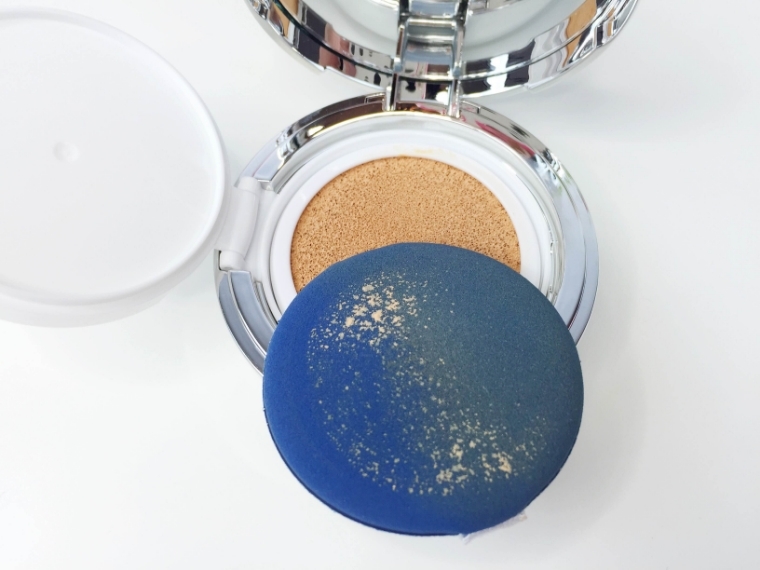 There’s been a lot of talk about cushion compacts lately. So…what’s the hype? I have to admit I didn’t really think this was going to be life-changing. Sometimes what happens is I decide not to jump on a beauty bandwagon because I want to wait to see what others think first before diving headfirst into a new concept (think contouring, baking, strobing.) 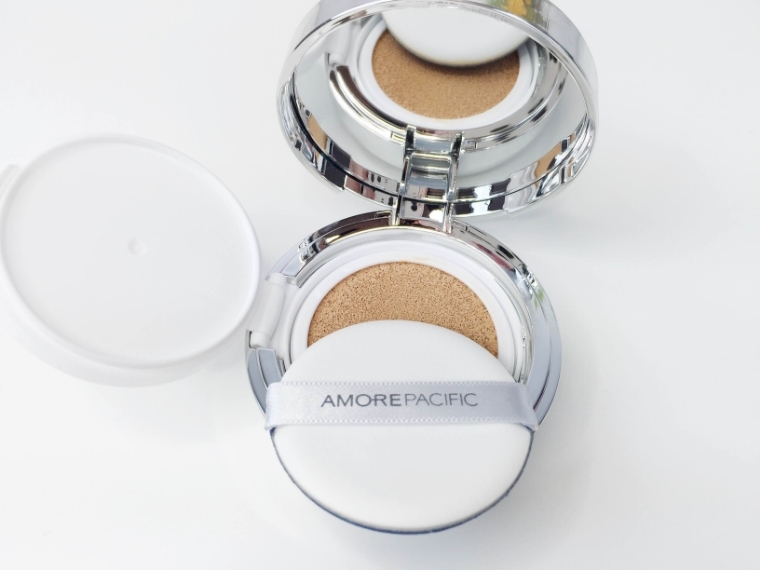 I’ll be honest and tell you that I definitely underestimated the power of this product from Amore Pacific. This product is phenomenal. It’s light, almost weightless, and doesn’t feel like you’ve caked on makeup which is one of my favorite parts. If you’re looking for something to cover up some areas of the face I would recommend a light layer. However, the product is build-able so you can get more coverage if you wish. 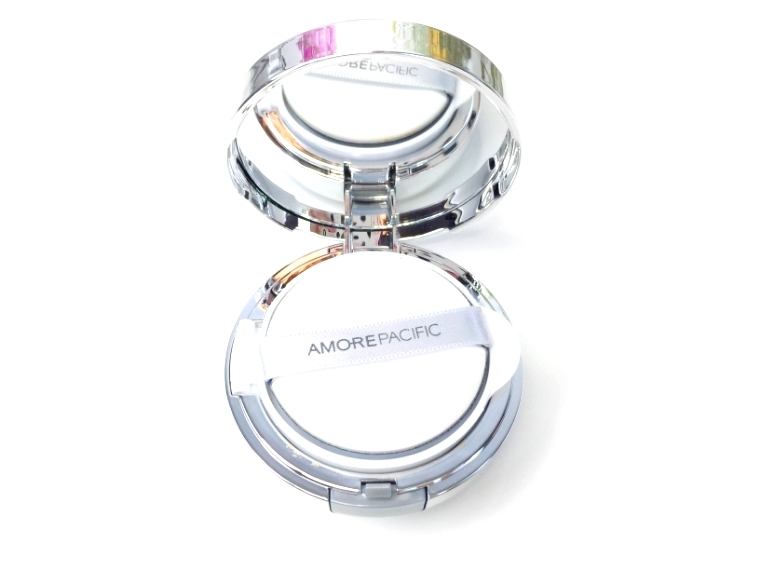 This retails at $60, but you will be receiving a refill and an additional puff so it’s essentially like receiving this compact twice! So I think of it as $30/compact which is not unusual for your higher end brands- think Urban Decay, Too Faced, etc. It’s a high quality product with amazing capabilities. Essentially what I do is press the puff into the product. Depending on how much product I want, I will press several times with each puff application. I normally will start light and build the product into the skin because I can always apply more but if I apply too much, it’s a bit more work to buff it out. One of the other benefits I love is the SPF because this is really going to help protect me from the insane heat we are still experiencing here in Arizona. 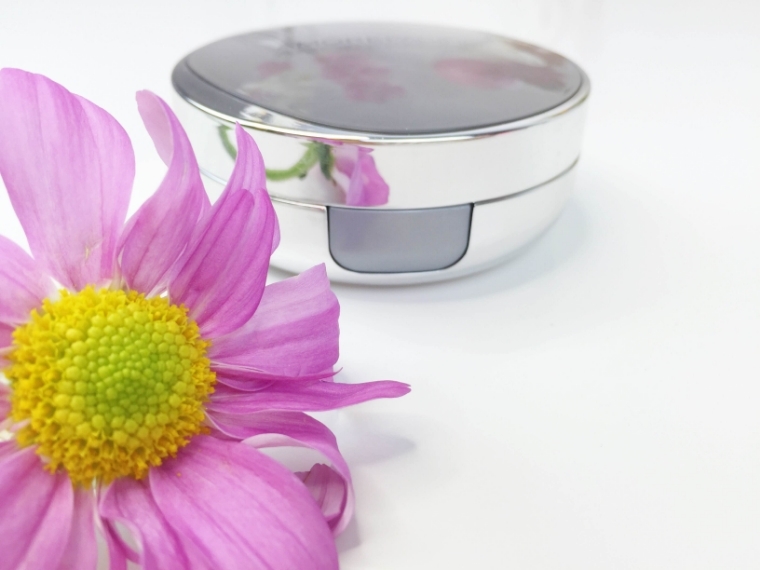 This product also fills into the lines of your face so this is perfect for people of all ages, not just the ‘youngsters.’ I also like that placing this on my skin adds a brightening effect and doesn’t irritate the skin. This product is also extremely moisturizing because the formula replaces water in place of oil which obviously offers more hydration than your typical foundation product. Lastly, this is so easy to throw into my purse because it’s a compact. You can touch up throughout the day or apply this on the go (bus, train, cab, etc.) which makes this even more friendly. 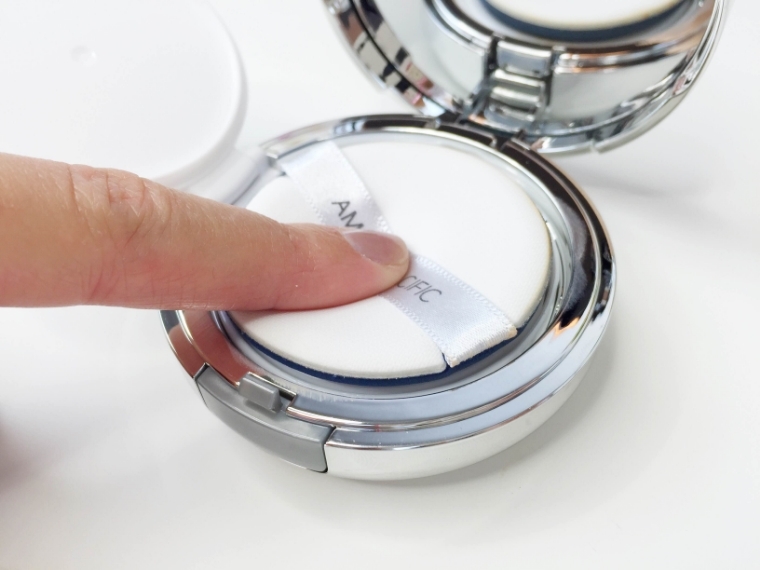 Have you tried a cushion compact? What’re your thoughts of this one? Disclaimer: This post is not sponsored. All opinions are honest and my own. I’ve teamed up with some fabulous bloggers to give away $500 to Nordstrom! One lucky reader will receive a gift card to spruce up their fall wardrobe. How great is that? Simply enter below by completing the rafflecopter. You’ll receive one entry per completion so the more completions, the better your odds. 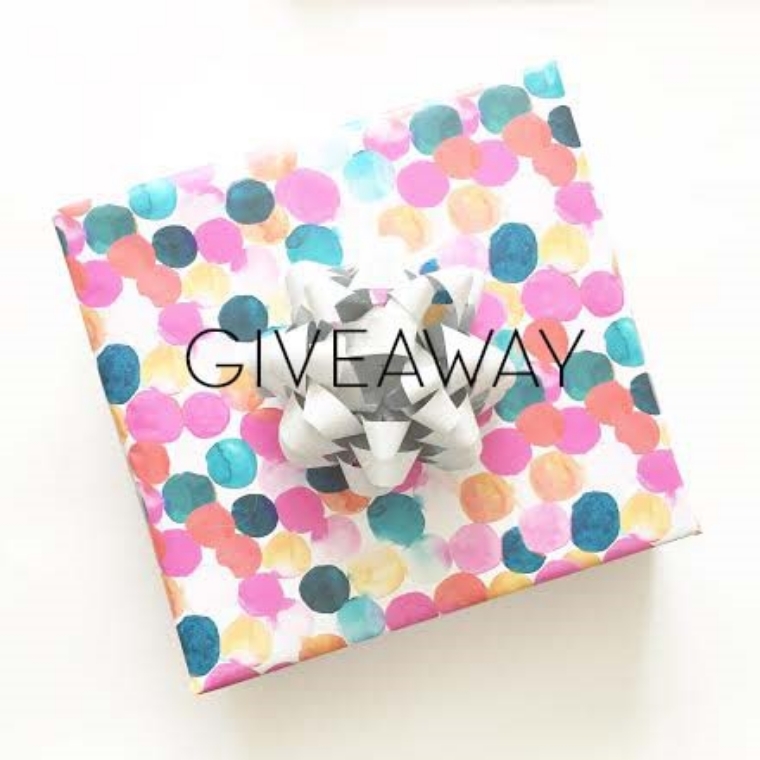 This giveaway is open internationally and runs until October 11th, 2015. Winner will be announced here. I wish you the best of luck!